Vol. 3 of the scriptures (Teachings and Commandments) is now updated to the final text on scriptures.info. The glossary has also been updated to include over 400 entries. There are a few ancillary tools to be added or updated in the coming week. The final text of Vol. 1 (The Old Covenants) and Vol. 2 (The New Covenants) are live on scriptures.info. We are working to get Vol. 3 (Teachings and Commandments) live before the conference. Some have asked whether the scriptures found today on scriptures.info are current, are there final text. No. Though we completed the primary project this week, it takes time to get the text formatted in a way the web site can upload them. We are hoping that we will have the scriptures to the coder and uploaded within the next week. We will announce that accomplishment here when it happens. We have been told that there are some who are surprised that there have been ongoing updates to the scriptures since their adoption in Boise during the Covenant Conference, including some additions. Additions are due to things the Lord has directed Denver to have us modify as we have been proofreading the scriptures over the past year. The changes are due to the ongoing discovery of archaic terms and grammar that had not been identified by the time the lists of archaic terms were provided during the Boise Conference, or items that were somehow missed as we worked with the original manuscripts, either by our own notice or by someone bringing it to our attention. Periodically, as a significant portion of text has been completed, we've updated the scriptures available for purchase on Amazon and also, at times, on scriptures.info. However, there are still significant portions that have not been updated. These will all be updated shortly. As work on the scriptures project is coming to a close, there will be significant updates to many of the texts. For that reason, sales of all volumes available on Amazon have been suspended until the final texts are uploaded. This will not be a long delay. At the same time, PDFs showing all changes made to the texts from May of 2018 to the present will be simultaneously made available on both this blog and on scriptures.info for anyone currently possessing copies. More information will be given at the upcoming conference in Colorado this April. 15 ...You may remove the brackets from your record, as I accept your clarifications, and you are permitted to proceed to the end with your plan to update language to select a current vocabulary, but take care not to change meaning — and if you cannot resolve the meaning, either petition me again or retain the former words. 45 And now I will accept what you have produced and you need not labor further to recover my words, but to complete your labors as you have agreed. You have inquired about the details, including punctuation, and what I say unto one I say unto all: I have given to you my doctrine, and have also revealed teachings, commandments, precepts, and principles to guide you, and it is not meet that I command you in all things — reason together and apply what I have given you, and it will be enough. It is apparent from the above that the Lord intends to accept what we have produced, but that there was an expectation at the time of the revelation that there was still work to do. The original plan agreed to by the committee was to restore all possible text as closely to what Joseph Smith attempted during his lifetime, and that has been the ongoing work that has kept us busy for the past year. Today, all those who have contributed to the production of the scriptures project met with Denver to account to each other and to him regarding our role(s) in the project and how faithfully we have adhered to what the Lord directed. We all ​affirmed with a clear conscience that we have done as He has directed, and have neither overstepped the limits placed upon us nor neglected anything we were directed to accomplish. That plan was in place at the time of the adoption of the scriptures in preparation for the Covenant, and today has been completed. All that remains for us to do is to complete work on peripheral portions of the volumes and then to get the texts updated on scriptures.info and on Amazon. We also have to reformat the texts in preparation for publishing leather-bound scriptures. We've created a doc to be posted on scriptures.info that explains why some "revelations" and other items have been left out of the T&C. A condensed version will be added to the scriptures as we prepare them for final printing. The PDF EXCLUDED REVELATIONS can be downloaded from this site over to the right or through this link. A new tool and an update. Scriptures.info has announced: "A bidirectional reference translation page for the Book of Mormon both to and from LDS references is also now available." You will need to click on the announcement link on the home page in order to get to the tool. WAY TO GO, CODER! When it's done, it's done. People continue to purchase scriptures from Amazon.com. Some are buying updated copies as we work through the proofing of every work in the scriptures. We have heard that when the leather-bound scriptures are finally published this summer, some will wait to purchase their copy until a second or third printing, in case there are updates. We want to make it clear that once the text is sent to the printer for the first printing of the leather-bound scriptures (and to scriptures.info and Amazon for final updating) - we have no intention of doing any further work on the scriptures. They will remain as is until the Lord directs otherwise. The only issues that would arise would be obvious typos, and none will be accepted without proof they are typos (too often we are emailed with "typos" that turn out to be restoration of Joseph Smith's work). Provisions are being made for additional sections to be added to the T&C during the short-term. For the long-term, when we have enough additional sections, several possible solutions will be considered and offered. For shall the prey be taken from the mighty? Or the lawful captive delivered? These should be the last sentences in paragraph 5. The explanation for why it was missing is unclear. Simple keystrokes during editing, for example, or during formatting could account for it. We don't know how it happened. We're just grateful that it was caught. As a reminder, we keep the price of the scriptures as low as Amazon will allow, but they insist that a royalty be made/paid on every book. We cannot refuse it. Since the statement doesn't give a total, it is $6,436.72. No funds have ever been removed from the account. That will change shortly. Some funds will be used to purchase sample scriptures from the finalist publishers being considered for the printing of the leather-bound scriptures. We anticipate only 3-4 samples need to be purchased in total, meaning we anticipate spending less than $400. These specs should result in books that last more than a lifetime. We are consulting with a bookbinder to professionally assess the quality of the samples received. which are divided into CHAPTERS and PARAGRAPHS. 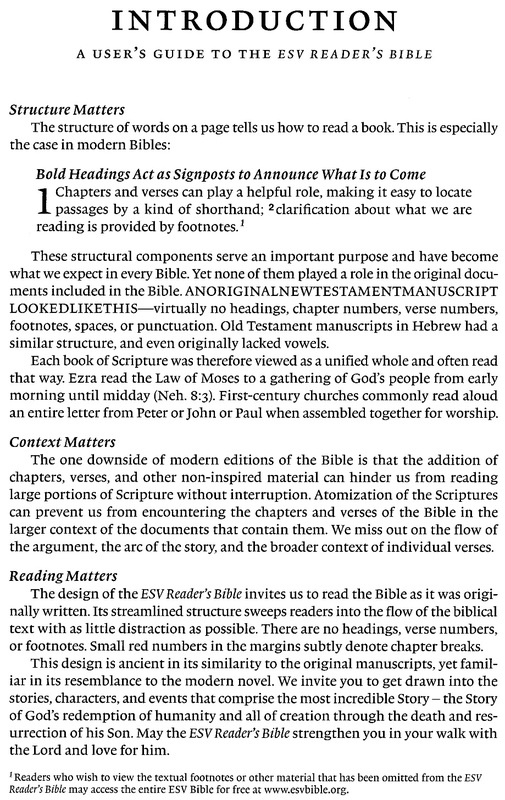 The T&C is a hybrid of both SECTIONS (as the D&C was traditionally was, rather than chapters) and also BOOKS (1-4 above). The SECTIONS don't have internal divisions other than paragraphs, but the BOOKS do. Also, in the JSH, there are no CHAPTERS, but there are PARTS, which act as chapters, and the LoF has LECTURES instead of CHAPTERS. SECTIONS use a regular # : # approach — T&C 89:4 is SECTION 89: PARAGRAPH 4. The immediate first question might be: Where is the Book of Abraham or Lectures on Faith? There's a Table of Contents at the front of the work, and after only a few trips to them (there are only 4 to remember — Sections 1, 110, 145, 171), it will be easy to find them all! We don't reference Alma 12:10 by stating "Book of Mormon, Alma 12:10", so it will be unnecessary to state "T&C 110: Lecture 2:16", but instead "Lectures on Faith 2:16". Use of the scriptures will make us familiar with where to find the books that are in the T&C. Added, deleted, or changed words, sentences, pages, chapters, or images. Changed a character's name or your eBook's plot. Made significant changes that warrant a new edition. That is why we've held off up to now and will wait until the content is ready for the leather-bound sets. In the meantime, once a WORK is completed, we also make a list of all changes that have been made since May 2018 available in a PDF for the work. It can be downloaded from scriptures.info. So far we only have such a PDF for the Book of Mormon and will have the entire NC doc ready shortly. The T&C is moving along rapidly and we expect to have it completed by the end of next week. That includes color maps (for scriptures.info and leather-bound versions) and a much larger Glossary of Terms. However, there will be minor updates to the T&C coming, due to punctuation updated in the OC. We need to make sure that quoted scriptures match our updated scriptures when relevant. This says a lot about how we've chosen to format our scriptures. 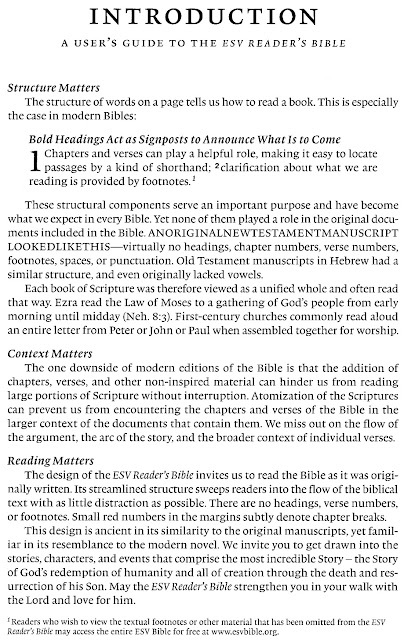 Though we aren't incorporating all of the aspects used in Bible mentioned below, the value of reducing structure to how we read a book is recognized as valuable. We hope our scriptures will bring the same value to those who choose to study them.